PROTONIC RED SPECIAL EDITION!!! ONLY 100 BUILT IN USA. 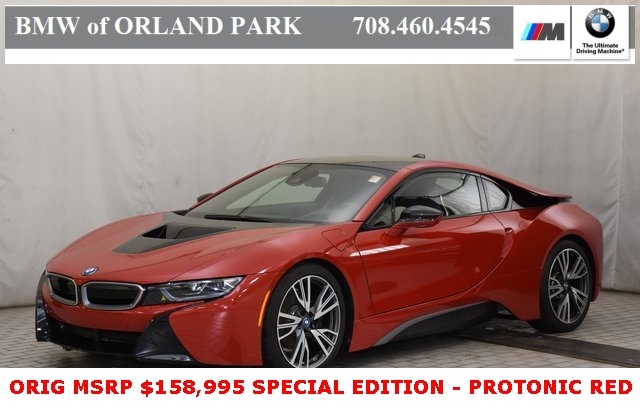 ORIGINAL MSRP: $158,995 2017 BMW i8 COMFORT ACCESS, HARMAN KARDON SURROUND SOUND, HEAD-UP DISPLAY, HEATED FRONT SEATS, PARK DISTANCE CONTROL, SATELLITE RADIO, BMW LASERLIGHT ($6,300 OPTION), 1.5L DOHC. PROTONIC RED 6-Speed Automatic AWD 1.5L DOHCBMW of Orland Park is part of the Zeigler Auto Group. Recent Arrival!We use a sophisticated algorithm to price our vehicles competitively online. We use software that scans VIN numbers with similar equipment for sale online across the entire USA. This gives us instant data to price our cars as competitively as possible to ensure our customers are getting the best deal and value for our price. 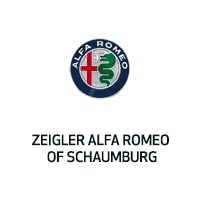 Buy from Zeigler with confidence and get a great deal and excellent price. We price our vehicles extremely aggressive to the market place to eliminate long negotiations and give our customers a great experience. We have one of the best selections of New, Certified and Pre-Owned BMW's in the Chicagoland area, plus a great selection of Pre-Owned vehicles for the whole family. Contact one of our BMW Certified Client Advisors at 708-460-4545 or Toll-Free at 866-460-4545 for further details and vehicle availability. We have over 70 new BMW courtesy vehicles available for our service customers, just ask when your make your appointment. We also offer local Courtesy Pick-up and Delivery for service customers. Enjoy the Experience at BMW of Orland Park.